Patients contribute their time to participating in research, and contribute their data to a registry because they want to see the data used to improve clinical care and to bring forward advances in medical research. 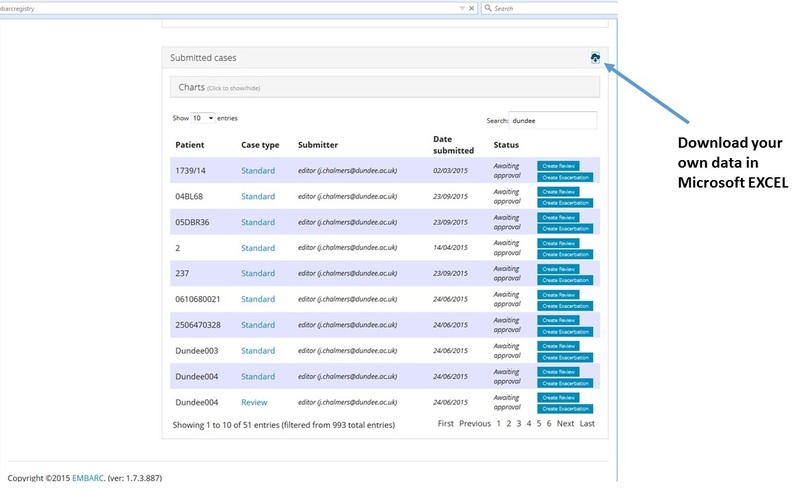 The EMBARC registry has therefore been developed with the principle that data should be a freely available as possible, and that the results of the study should be disseminated as widely as possible in order to have the greatest possible impact on health and patient care. This page details the process for accessing the EMBARC registry data for analysis. Access to the data is open to anyone with a valid research question subject to the conditions below. 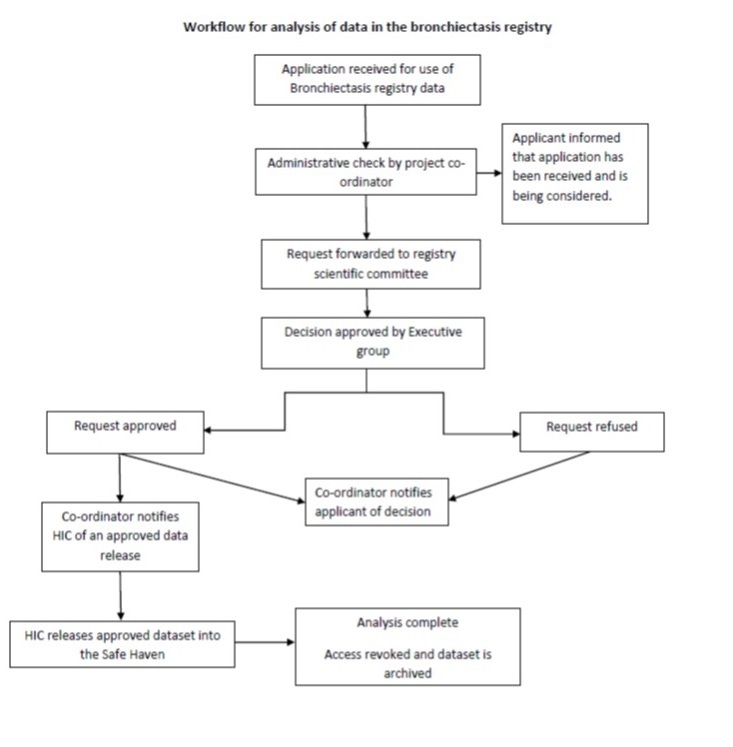 Requests to analyse the database as a whole are managed by submission of a study proposal to the EMBARC scientific committee using the form above. Governance processes surrounding data management and access are fully compliant with the Data Protection Act 1998 and the Data Protection Directive 95/46/EC of the European Parliament and of the Council (1995). The EMBARC study group will follow the International Committee of Medical Journal Editors (ICMJE) recommendations regarding authorship. These are shown below for reference. An author must take responsibility for at least one component of the work, should be able to identify who is responsible for each other component, and should ideally be confident in their co-authors’ ability and integrity. Authorship credit should be based on 1) substantial contributions to conception and design, acquisition of data, or analysis and interpretation of data; 2) drafting the article or revising it critically for important intellectual content; and 3) final approval of the version to be published. Authors should meet conditions 1, 2, and 3. All questions regarding publication or authorship will be addressed by the scientific committee, who will have the final authority over these decisions.